Tell your friends and family, get them a flyer or just have then let their server know they are there for Dryden Rotary! A digital version of the flyer can be downloaded using the "Flyer" link to the left. Plan your own dinner or lunch for one, or more, of those days. 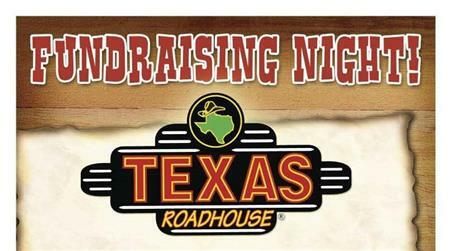 During business hours, for these 3 days, Texas Roadhouse will donate 10% of total food purchases to Dryden Rotary! These donations will be used to support youth programs such as Rotary Youth Exchange, Rotary Youth Leadership Awards (RYLA) and Youth Literacy Projects, as well as other community service projects in the Dryden area. Sunday is St. Patrick's day. What a great way to celebrate!